Picturing Disney: Etsy Shop Review & Artist Card Giveaway! I love Peter Pan and Wendy! Aladdin all the way! But I want a Lion King pair! I'm liking the snow white and prince charming :) i love when she opens her eyes to see him after just kissing her....what an amazing artist. 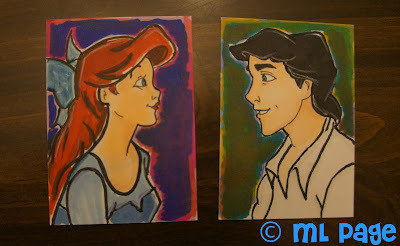 I am partial to anything Little Mermaid- it's my favorite movie....but, I also love Wendyand Peter Pan! Well, Cindy's always been my first and best! I love The Little Mermaid ones!! I love Wendy trying to give Peter Pan a kiss! 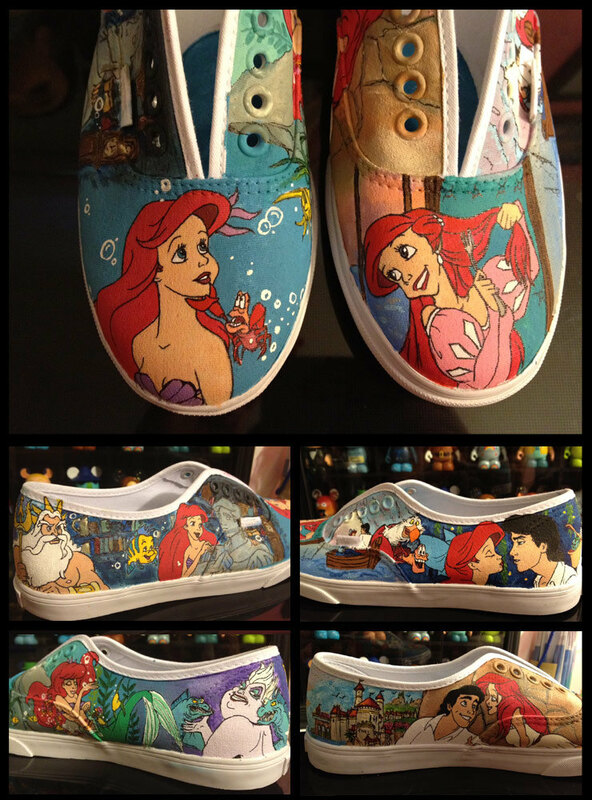 Those little mermaid shoes are sooo cute! My daughter would love a pair but her feet are wayy too small! Maybe he's right is beautiful! I am a OCD (Obsessive Compulsive Disney) fan so they are all wonderful, but Ariel anything is my favorite!! I love the beauty and the beast "tale as old as time". It's beautiful!! I LOVE the Peter Pan & Wendy one!! !